With the weather heating up, hitting the beach is a popular way to spend the day. 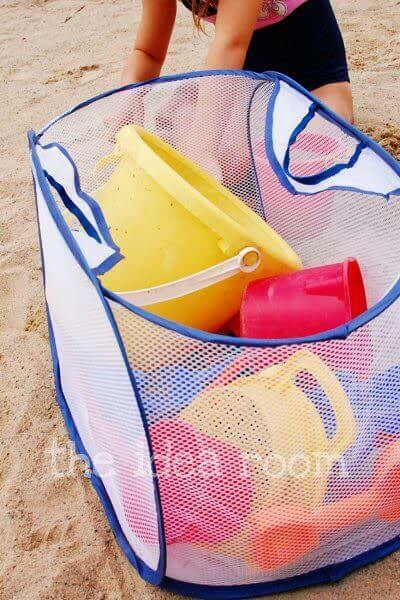 Make sure you are really prepared for the sand, sea and sun with these 17 beach hacks. 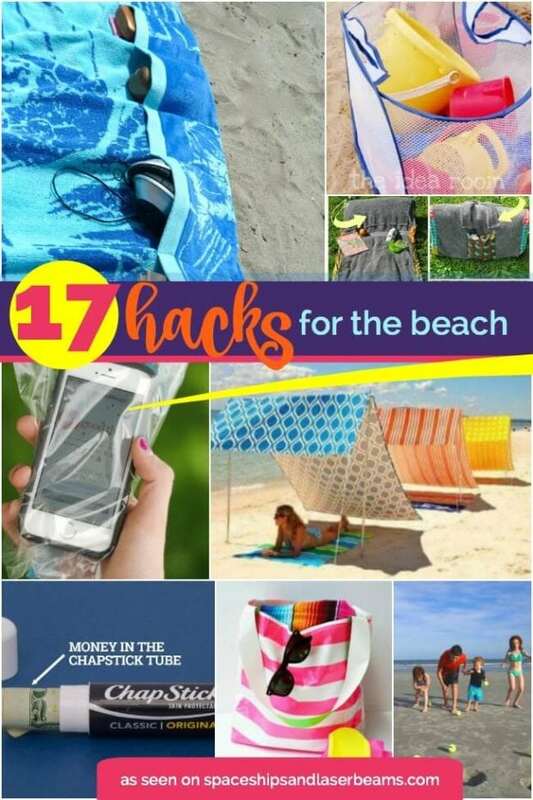 While I love the umbrella hack and the fitted sheet hack, we promise you, with every beach hack, your trip will get just a little more enjoyable. Your summer trip will be memorable with these 15 Summer Must Haves for Families who have Kids. What’s your favorite hack? 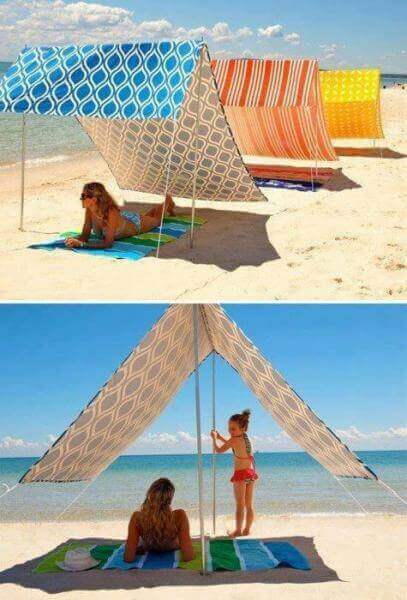 I love the pocketed beach towels and homemade sunshade. Can’t wait to try some of the great beach games too. If you’re a beach lounger rather than a swimmer, then you’ll absolutely love this towel blanket with a pillow. It’s perfect for reading and lounging on the beach. It’s doesn’t require too much sewing skill to put together, so it’s also a great beginner’s project. 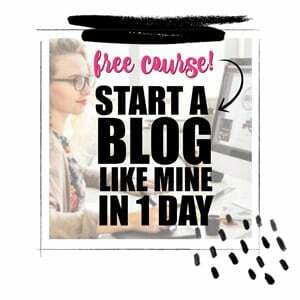 There are all kinds of great hacks on this post, but this has got to be the simplest one of all. 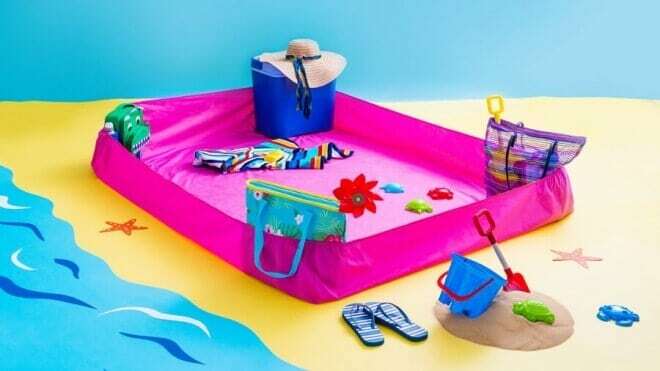 To get a sand-free lounging or picnic space, simply take a fitted sheet with you, and place a heavy item in each corner (like a beach bag or cooler), and pull the corners up over them. No more sand in your sandwiches. 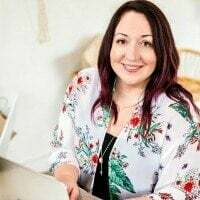 If you’re running around after kids, trying to have a spot of fun yourself and making sure that everyone is safe, you don’t need the added hassle of trying to keep track of your stuff. To avoid your valuables becoming easy pickings, stash them in the least obvious place — your sunscreen bottle. This beach hack is actually also a great travel hack, especially if you’re going somewhere a little unfamiliar and possibly unsafe. 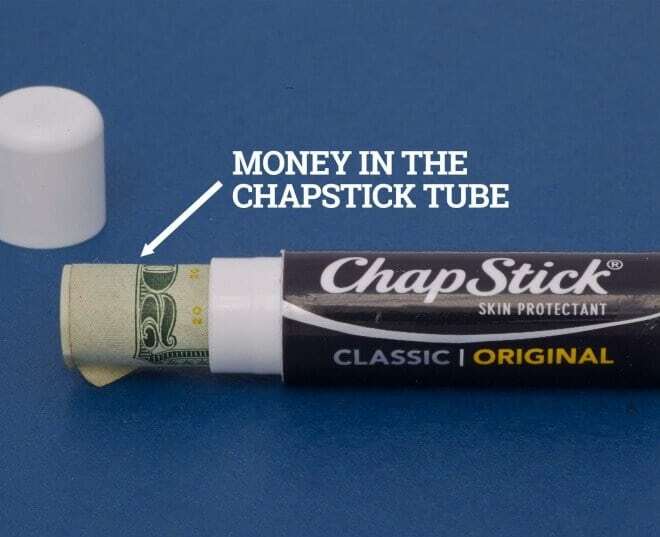 Make sure you always have cash on you by keeping a few dollars rolled up in an empty ChapStick tube — no-one will ever guess! Ever tried to take an umbrella to the beach? It’s a tight fit in pretty much any car! This Homemade Sunshade folds up really small, so it’s way easier to fit into your boot than a giant beach umbrella. Beach feet trailing sand into your car? This beach hack is definitely good to know. 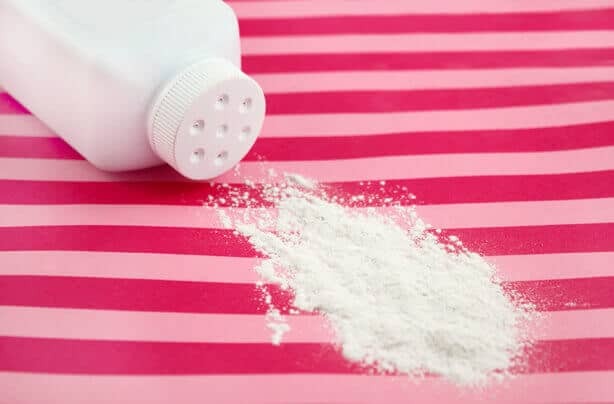 Just rub talcum powder over the sandy area, and the grains of sand will dry out and fall straight off. If you have young kids with lots of beach toys, then this is an excellent tip. Just buy a mesh bag to store the toys both at the beach and in the car, and just shake it out before leaving the beach. No more bags full of beach sand! We all know that protecting ourselves from the sun is of paramount importance, but sometimes, somehow, we manage to get sunburnt every now and again. 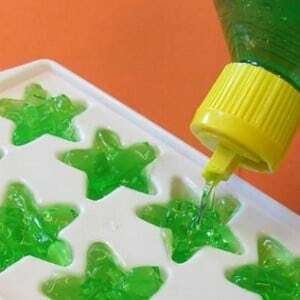 For those times, these Aloe Vera Ice Cubes are just what you need — cooling, healing and soothing. 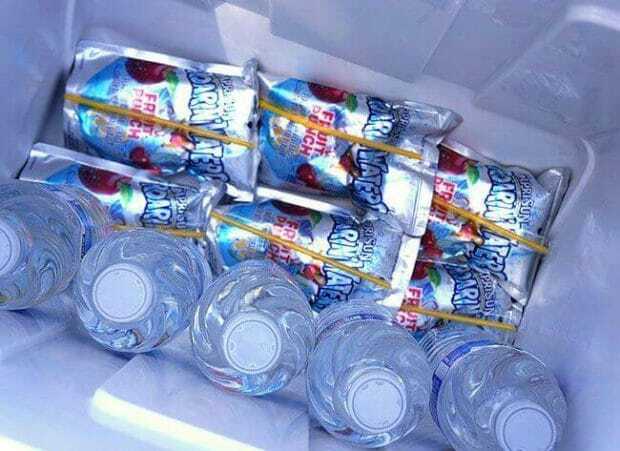 If you’re taking a picnic for your day at the beach, get clever and freeze your drinks the night before. When you pack your cooler, there’s no need to add an ice-pack, as the drinks will keep everything cool and will be ice-cold and ready to drink when you arrive. 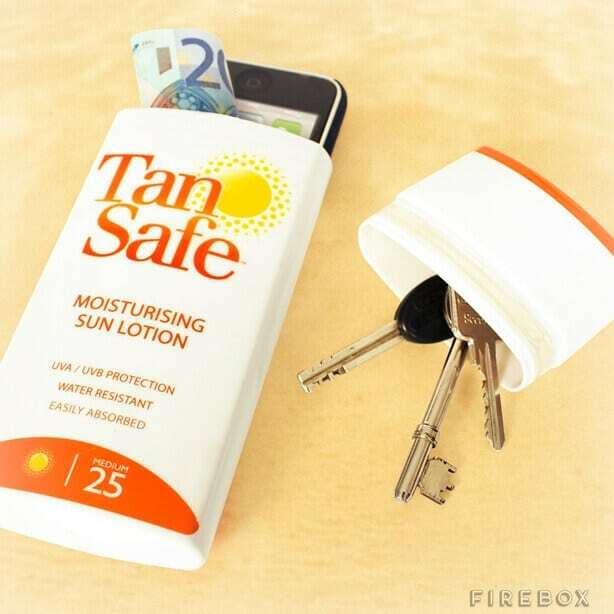 This is definitely a short term beach hack, but it works! 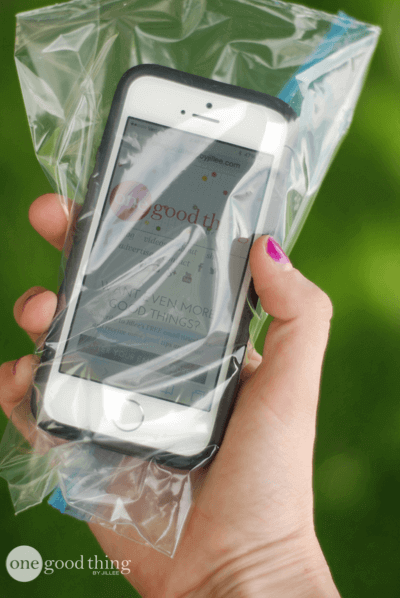 If you’re worried about your phone getting wet at the beach, just pop it into a resealable plastic bag — the touchscreen will work through the plastic. 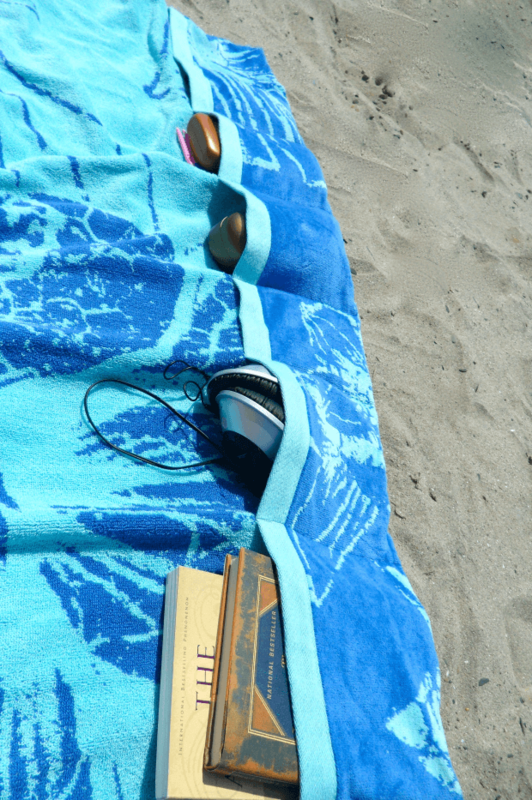 If you really want to relax at the beach, then these Pocketed Beach Towels are the hack you need. 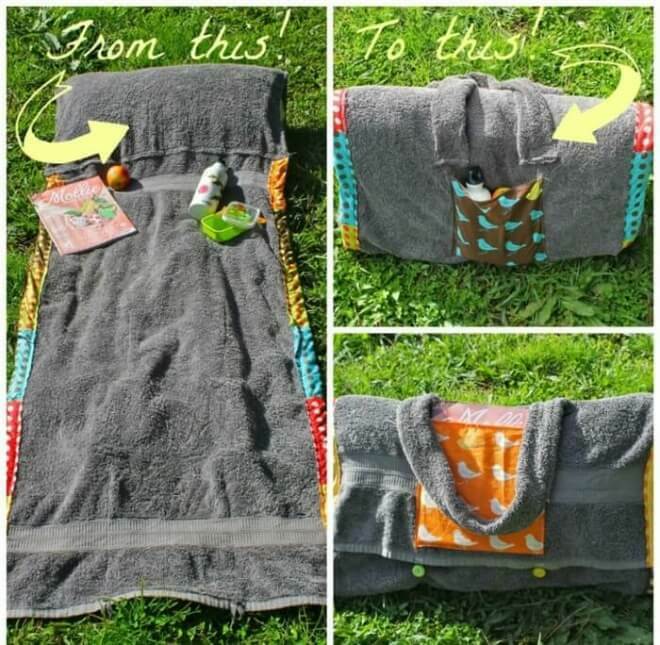 Just take an oversized beach towel and sew pockets into the bottom (much simpler than it sounds). No more rummaging in giant beach bags, hunting down now-crumpled books, headphones or sunscreen — they’re all right there. 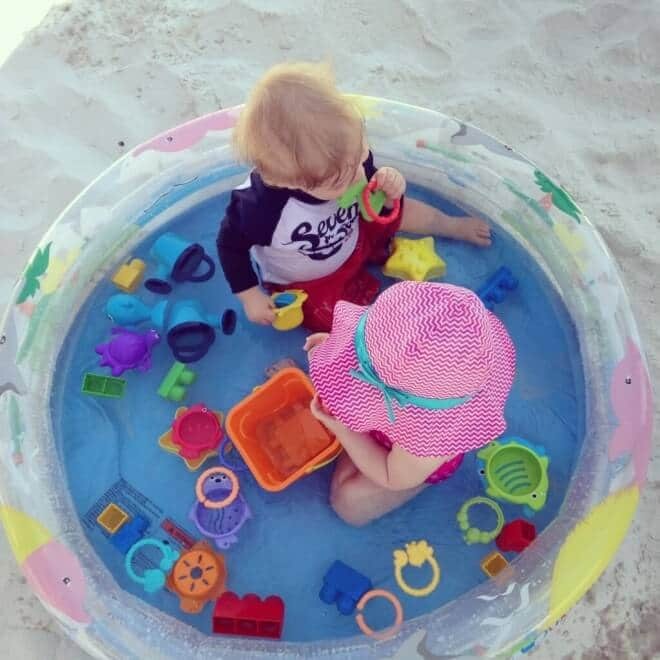 Setting up a Kid’s Beach Pool is a great idea. This way, little kids can play safely and have fun while you relax a little. If you’re worried about the chemicals in your sunscreen, why not try making your own? The recipe is much simpler than you’d think. 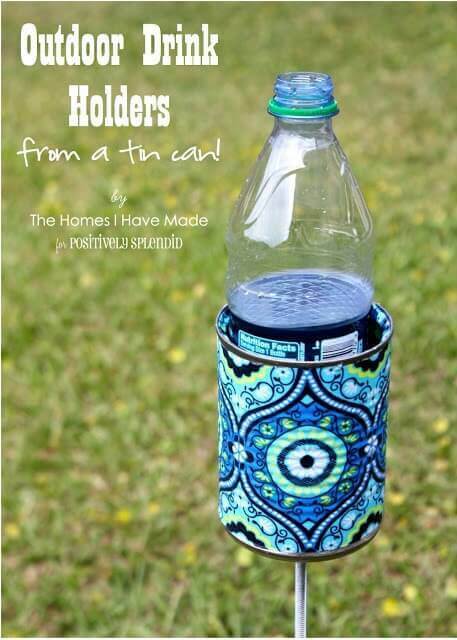 These outdoor drink holders would be great for the beach, as well as for picnics, as they keep your drinks stable and out of the way. You can change the fabric decoration up to suit your style, making them perfect for a beach party. Beach vacations are super fun, but they can also get a little bit difficult, as cuts, bruises and other little injuries are common, and you don’t necessarily have the tools to deal with them like you normally would. 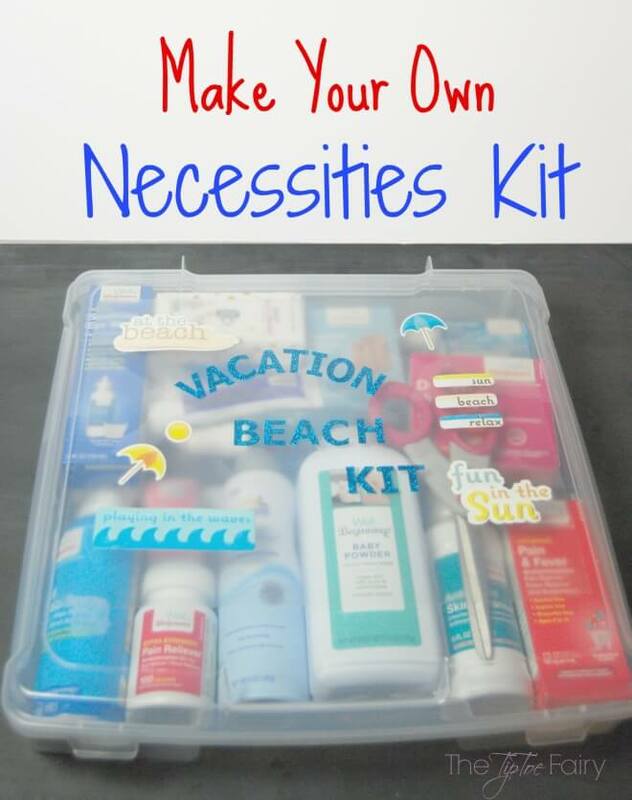 I love the idea of this beach vacation kit — it will definitely make holidays less painful. 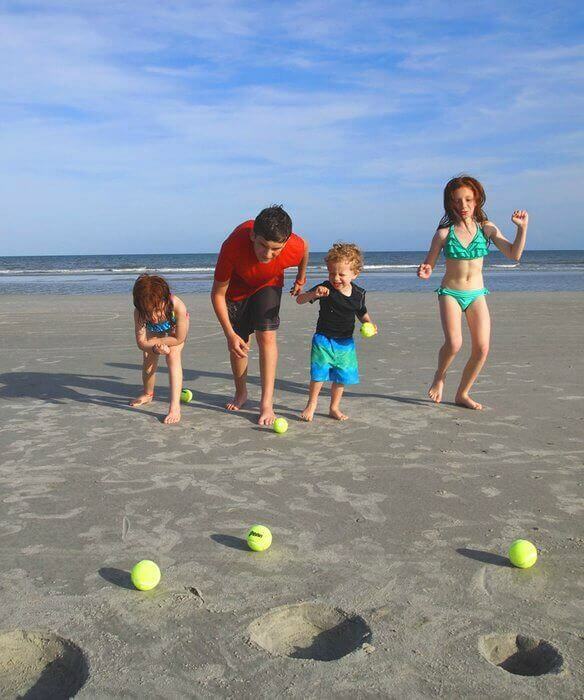 Beach games are a great way to make a day at the beach even more fun than it already is (which is pretty darn fun, if I say so myself!). Beach bowling, cup castle and beach blow all sound like an absolute ball! 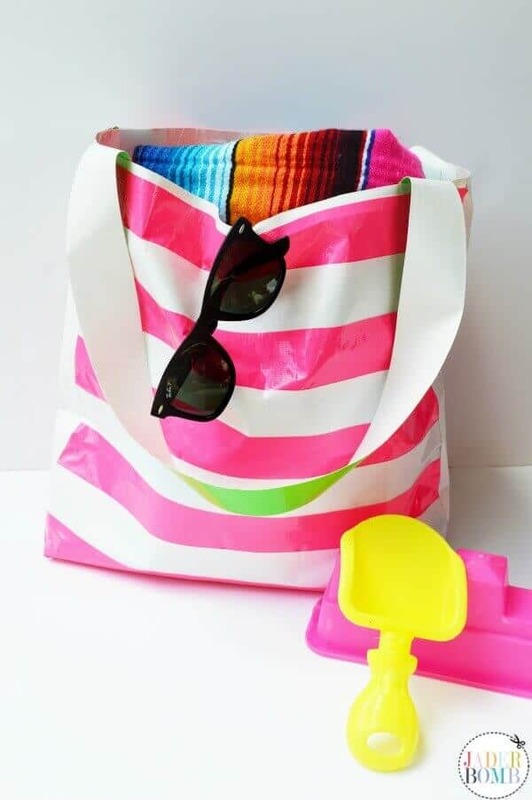 Colorful duct tape has really made hacks a whole lot brighter — this Duct Tape Beach Bag included. It’s great because it’s waterproof and quick to make, but looks stylish. Keep organized this summer with these great sources gathered by the team at Spaceships and Laser Beams. 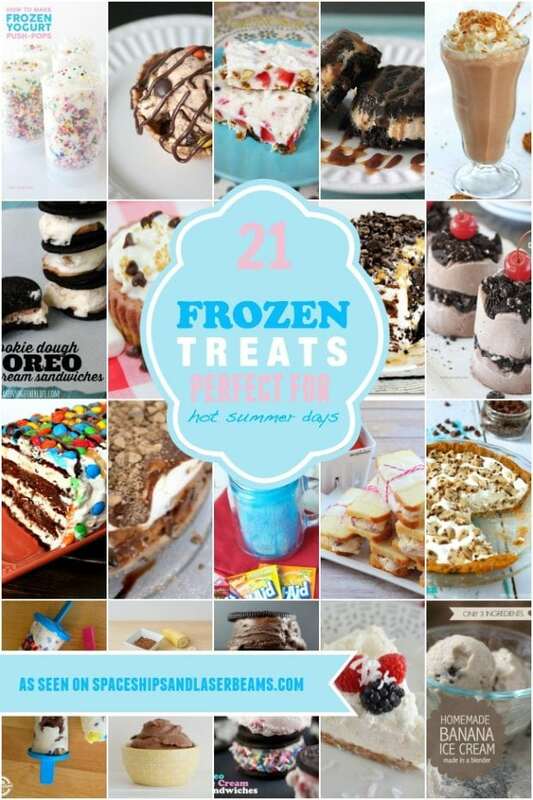 Check out these great summer ideas perfect for kids.